Search results when searching on company name, first or last name were not always logically arranged. We have made adjustments to this, from now on the ranking will be logical and clear. Further more it’s now more easy to search on title/subject of documents and files. In case you filter a group of contacts based on a field or a keyword there is an Options button above the filter result that gives you the ability to do a mass change for your filtered group. It can be a move or a change of value. 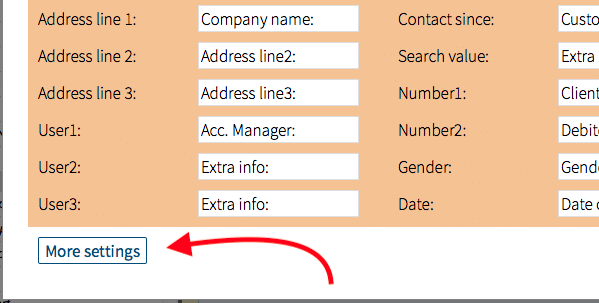 Newly added as possible mass change fields are the Info 1 to 20 fields, the country field and the gender field. See below the steps how it works. After creating an email concept and generating a filter in order to sent out a mass mailing, you now have the option to define the email address you want to use for sending out the mass mailing. How to add multiple address for sending? Go to menu option Administration; Email; From addresses to manage that for each user. In SpinOffice you have contact types and all contacts in the database are linked to one particular type. It is now possible to link a saved email template to a contact type, which allows you to instantly have the correct template when sending an email to a contact from out of his contact card. To set this up, go to menu option Administration; Contact types, select the contact type of your choice and click on More settings at the bottom to select the preferred template. Be aware that this setting is a company preference and thus applicable for all users in the database. 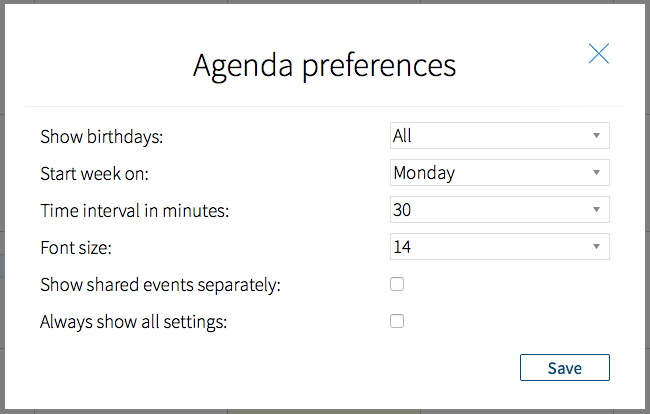 Accept invitations in your inbox in SpinOffice or on your phone (in case the CalDAV account has been configured) and it will be saved and synced on all devices. Even the location is picked up! In your calendar, click on the wrench icon in right corner on top to get following popup screen where some new options are there in this software update of the application. Please check them out and contact us when one of them is not clear. On right-click on a calendar item you have some options already, newly added are duplicate event, add as attachment and print. The calendar in SpinOffice can sync with the calendar application on your iOS or Android device. A sync adapter is needed to connect the CalDAV account from SpinOffice with the calendar app on Android. In the past, we used the adapter-app called ‘CalDAV Adapter’ to process the events. However, this adapter-app is no longer maintained by the developer and does not work properly anymore. So we found another application to do the trick: it is called ‘CalDAV Sync’ from developer dmfs GmbH. Download the adapter-app in the Google Play Store (one-off costs are € 2.59), install on your Android device and configure the CalDAV account to activate the SpinOffice sync. To avoid trouble and confusion, don’t forget to remove the old CalDAV Adapter! it is possible to add new items (tasks and agenda items) to the dashboard via the ‘+’ icons in the dashboard on the right side of the contacts screen. Changes of items mentioned are also instantly picked up and processed, so no need to refresh the application anymore, so the teething issues have been solved!! And, we have further improved the stability and security of the application. Interested in the latest version of SpinOffice? Download the app and see what’s new!